Rose Community Foundation helps nonprofit organizations like the Girl Scouts of Colorado in building sustainability through endowment services.For more than 100 years, Girl Scouts of Colorado has helped girls build courage, confidence and character to make the world a better place. Now, the next 100 years are on the organization’s mind and an endowment fund at Rose Community Foundation is helping create a path to long-term sustainability. Preserving Girl Scouts of Colorado’s future became a priority for CEO Stephanie Foote, in 2013 – especially after fires and floods destroyed several of the organization’s camps and properties and the organization downsized in staff. “I realized we needed a good vehicle to help carry the Girl Scouts of Colorado into the future,” says Foote. Her time on our Board of Trustees exposed Stephanie to our endowment services and their value to nonprofits. “I saw first-hand the fantastic support work that Rose Community Foundation provides to nonprofits in helping them grow and strengthen,” says Foote. The organization is also participating in a new incentive grants program at the Foundation designed to encourage endowment growth. “We’re very excited and proud to partner with Rose Community Foundation in planning for the future of Girl Scouts of Colorado,” says Foote. 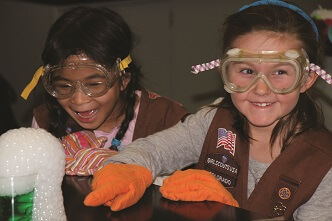 Learn about the Girl Scouts of Colorado at girlscoutsofcolorado.org.